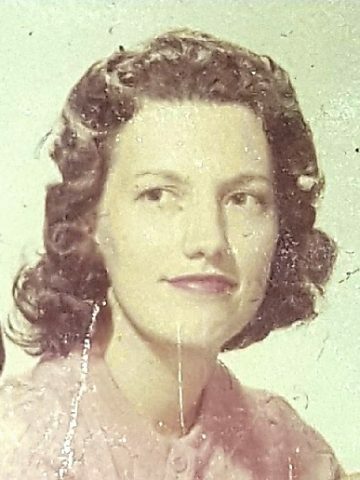 Mrs. Deloros Faye Smith age 79, of Hendersonville, TN, passed away on Monday, March 19, 2018. Mrs. Smith was born in Nashville, TN, on October 30, 1938, the daughter of the late Lawrence and Pearl Conyers. She enjoyed gardening, her dog, and watching and feeding birds and squirrels. In addition to her parents, Mrs. Smith was preceded in death by her husband, Harold Smith. Survivors include her son, Timothy Smith; a brother, Patrick (Janie) Conyers; sister-in-law, Elaine Smith; three nephews, Todd Smith, Chris Smith, and Jeffrey Conyers; and a niece, Christie Lewis. A Celebration of Life will be held Saturday, March 24, 2018, at 2:00 P.M., Hendersonville Funeral Home. Gathering of Family & Friends will be held Saturday from noon until the funeral hour at Hendersonville Funeral Home. Your Mom was a wonderful person who loved God and life with her family more than anything. Of course family included her dogs. She showed kindness to everyone she met. I loved watching my Mom and her enjoy the trains. You will always have wonderful memories . You were the best son to her that anyone could have ever been. I pray for God to give you comfort and peace. She is with Him now. Tim, you are in our thoughts and prayers. We pray that God gives you comfort and peace during this difficult time.